There are so many good results of obedience. I could ramble on and on about all that God gives us when we obey. Generally speaking, obedience to God gives us entry into all that He has for us. It opens the door of His blessings to us and keeps us in His will. By obedience we stay in tune with God and are given all the power of God. By obedience we put ourselves in the middle of His love and there we see His glory (Jn. 14:21). We will go on now to examine six specific results of obedience. 1. By obedience we become God’s friend. The Bible says in John 14:21, “He who has My commandments and keeps them, it is he who loves Me. And he who loves Me will be loved by My Father, and I will love him and manifest Myself to him.” The word “manifest” in this verse means to disclose or to show oneself. It is a term of friendship. Therefore, as we see here, obedience to God brings to us the friendship of the Father and the Son. In John 15:14 Jesus says it plainly: “You are My friends if you do whatever I command you.” That thought, to be a friend of God, is just overwhelming to me. It is hard to comprehend and describe it. It is so wonderful, so heartwarming. And just think, God is willing to be a friend to anyone who will come to Him and obey Him. 2. By obedience we get to know God’s will. It’s really quite simple: the more we do what God tells us to do the more we get to know Him as a friend. And the more we grow as His friend the more He reveals Himself and His will to us. Hence, we will find that His will is good, acceptable and perfect (Rom. 12:2). 3. By obedience we bear good fruit. A life that is obedient to God will always bear good fruit. Therefore, when we present ourselves to God to obey Him, He gives us a new power over sin and a power to continue to obey Him. In fact, as verse 18 tells us, by our obedience we have made ourselves a slave of righteousness. Hence, being a slave, we are compelled to continue to obey God and to be holy. It becomes our nature. It is our new heavenly desire. 5. By obedience our prayers will be answered. One of the things that will happen when we obey God is that our prayers will be heard and answered. What a marvelous thing! But I don’t think God answers our prayers just on the basis that we have gone through the mechanics of being obedient. No, it is not that way at all. John 15:16 seems to indicate that answered prayer is a type of fruit, or a manifestation of His grace that comes to us as we abide in Him; thus, as we make our obedience a lifestyle. For the last phrase of the verse, “that whatsoever you ask of the Father in my name, He may give to you,” seems to be an extension of the former phrase, “that your fruit should remain”. The word “that” between the two phrases is a connecting word that indicates that the last phrase is connected to the former phrase. Thus, our ability to pray and receive answers is a type of fruit. But I also think that more fruit comes as a result of our prayers. G. Campbell Morgan suggests that the verse should be understood this way: “I chose you in order to bear fruit, and in order that you may do so I chose you to ask, and so to get in touch with God, that fruit may abound.” And so, I think that answered prayer is a type of fruit, and prayer itself is a means of more fruit. R. A. Torry and E. M. Bounds have some things to say about obedience and prayer. The Bible says, “Whatsoever we ask we receive because we keep His commands and do those things that are pleasing in His sight” (1 Jn. 3:22). The last result of obedience is the most important. 6. By our obedience the Father is glorified in the Son. In John 15:7-8 Jesus said, “If you abide in Me, and My words abide in you, you will ask what you desire, and it shall be done for you. By this My Father is glorified, that you bear much fruit; so you will be My disciples.” Here Jesus tells us that if we abide in Him (which includes our obedience to Him), we will receive answers to our prayers. In verse 8 Jesus said, “By this My Father is glorified…” The word “this” means that when you abide and obey, and when your prayers are answered, then He will be glorified. The next phrase gives us the reason why He is glorified. It is “that,” or because in abiding and obeying and in having your prayers answered “you bear much fruit.” Therefore, the Father is glorified by our obedience; but it isn’t in our obedience alone that He is glorified. No, He is glorified by our obedience because our obedience causes us to bear much fruit. And why is fruit so important to Him? Well, our fruit is evidence to the world that we have the nature of Christ in us, and that we are His disciples (Jn. 15:8). And whenever the Father sees the works of His Son being multiplied and magnified in the world through us, He is pleased and glorified. And His glory is in the Son (Jn. 14:13). 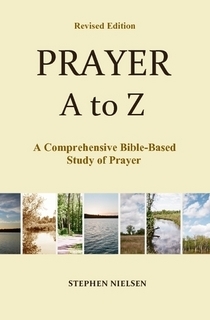 This entry was posted in Obedience and Prayer, Prayer A to Z Excerpts and tagged answered prayer, God's Power, God's will, John 15:16, Obedience to God. Bookmark the permalink. Good enoughfor me.send me some article for effect and powerful prayer,pls. This was really powerful to me. Please send something about Power to love those who have messed up. Can i add another? Other people are blessed, saved and encouraged. The fruit and blessing of obedience spills over into the lives of others as they hear the Gospel, marriages are healed, enmity ceases, reconciliation, forgiveness and healing…children are blessed, real friendship manifests… the fruit of obedience is something that others get to taste and enjoy. Thanks for the great insights! Thanks for noting the importance of obedience in John 15:14 — it is good to know how we can become God’s friends. And there is one notable benefit of being Christ’s “friends” (among others), that we see illustrated in the life of Abraham. Interestingly, Abraham is called the “friend of God”, in 2nd Chronicles 20:7 & in Isaiah 41:8 (and again in James 2:23), and God gave Abraham advance notice of what God was about to do, in Genesis 18:17-19 (“17 And the LORD said, Shall I hide from Abraham that thing which I do, seeing that Abraham shall surely become a great and mighty nation, and all the nations of the earth shall be blessed in him? For I know him, that he will command his children and his household after him, and they shall keep the way of the LORD, to do justice and judgment, that the LORD may bring upon Abraham that which he hath spoken of him.”) It is obvious that Abraham’s tested loyalty to God proves that Abraham was not in love with (or a “friend of”) the world (James 4:4). And we see in John 15:15 that Christ’s friends are, like Abraham, given advance notice of what Christ intends to do in the future (“Henceforth I call you not servants; for the servant knoweth not what his lord doeth: but I have called you ‘friends’; for all things that I have heard of my Father I have made known unto you.”) In Exodus 33:11 we also see that God spoke to Moses as a friend — and we know that God gave Moses advance knowledge of many future events (e.g., Exodus 6:8). Some are naysayers regarding eschatology’s importance; however (based upon John 15:15b), it looks like the true “friends” of God should expect to be taught some eschatology by Him. It was so pawerful to me for the message i read. Thanks for your like of my post on the Declaration of Independence; you are very kind.